Bottle Shock, the movie based on this historical wine event, was chosen for the Sundance Film Festival last year, and will be out on DVD in February. 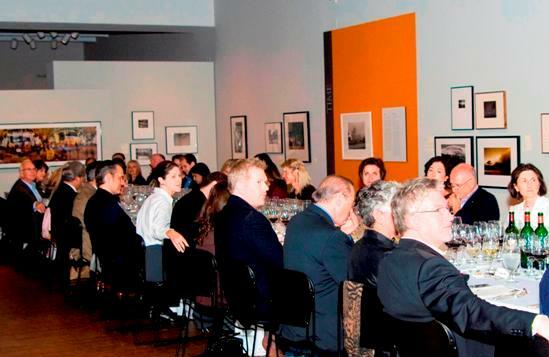 As a fundraiser for the Museum of Photographic Arts, we organized a restaging of the Judgment with updated vintages of the wines from the original tasting. There were 50 attendees and we began the evening by … screening a clip and having the director talk about the movie. People loved that we served truffled popcorn and champagne in the museum’s theatre! Then, we moved into the art gallery for the actual tasting. Just like the original, we staged this single-blind. While we tasted, and voted for our favorites, Maria Hunt, our mistress of ceremonies, did a great job giving us background information about the wines and the Paris tasting. Jeffrey Strauss at Pamplemousse provided dishes that paired wonderfully with the wines. When we tallied up the votes, the results were surprising. For the whites, the Grgich won by a landslide with the Montelena coming in last. Wine Geek Factoid: Mike Grgich made the ‘73 Montelena that won the Paris tasting. Mike is a charming guy, and at 85-years old he is still running the show at Grgich Hills Winery, as well as being a shameless flirt. There has been a lot of grumbling in the wine geek community that the movie doesn’t even mention Mike. For the reds, just like in the original tasting, the Stag’s Leap beat out the great Bordeaux. Anyway, a fun time was had by all, and I suggest you try this at home. First read the Judgment of Paris by George Taber so you are armed with the facts. Then buy updated vintages of the wines, rent the DVD, invite friends, show the film, drink, vote and tally. If you are interested in doing this as a fundraiser, contact me and I can help you source some bottles. In talking to others who have done this, I was amazed at how often Stag’s Leap wins in these restagings. Cheers! it’s interesting to read how the californians still “out perform” their french counterparts today… what does it say about wine tastes then and now? great post! The Joseph Drouhin White Burg was definitely the oakiest of the whites (Drouhin uses a very international style for that wine), and the Grgich doesn’t undergo malolactic fermentation and uses little new oak. One more example of the Americans being more traditional than the Old World guys. When and where is the next bike trip? I attended this tasting and it was indeed a great time. Also saw the film at my local multiplex and was dying for a glass of anything…the movie made me very thirsty. Looking forward to watching it at home…glass of wine in hand! 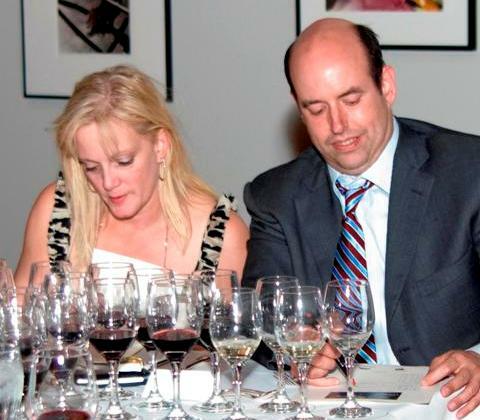 The tasting was an amazing event, and blind tasting is always a fun challenge for the palate. Robin’s comment on the Drouhin vs. Grgich is spot on, and brings up a good point that the wine industry has become increasingly driven by global trends. It can be very hard to distinguish a wine’s origin when new world winemakers are using old world techniques, while the old world winemakers are now trying to please a new world palate. Great info – I’ll have to do one of these someday myself – I’d add my favorite Californian into the mix – Caymus SS. And an inexpensive, but wonderful white french burgundy, Chartron & Trebuchet Macon Villages. And yes, anyone who even remotely likes wine needs to see the Bottle Shock movie. Glad to see it is coming out on DVD. I don’t like going to the movies but I’ll check out the CD when it’s available. The Stag’s Leap beat out the great Bordeaux! Well… you know how I feel about that one. By the way, you’re company is being mentioned in the RSF Review (next week’s edition) for your generous participation in the ECO Ball 2009. Thank you for supporting the wine party. You are always an inspiration! Hopefully, I can be by your side next time you are writing a blogpost in a Roman Wine Bar. Looks fantastic Robin! I’m sorry we missed it… maybe next time. I agree, it’s too bad about Bottle Shock’s failure to include Mike Grgich. That’s Hollywood though. At least those of us in the know can pay him tribute! The Paris Wine Tasting of 1976 had a revolutionary impact on expanding the production and prestige of wine in the New World. Judgment of Paris, his 22-year term at Montelena actually began just after the tasting.